Today, the company and its subsidiaries provide personalized service to more than 5 million policyholders throughout 50 states, the District of Columbia, Puerto Rico, and American Samoa. 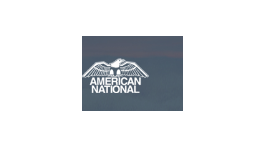 Through its subsidiary, American National de México, Compañía de Seguros de Vida, American National is authorized to sell its products in Mexico. Directly and through subsidiaries, the company offers a broad line of insurance products and services, including life insurance, annuities, health insurance, property and casualty, credit insurance, and pension plan services. Mutual funds and variable products are securities products distributed through Securities Management and Research, Inc., a subsidiary broker-dealer of American National Insurance Company.